The Richards-Zawacki Lab is committed to sharing our love of nature and science with the public. Our members engage in both one-time events and long-term programs with a variety of local institutions. Ectotherm ER is an educational module for learning about climate change impacts on organisms and their ecosystems that the Richards-Zawacki lab developed, in collaboration with Pitt Bio Outreach and local teachers, for use in middle and early high school classrooms. 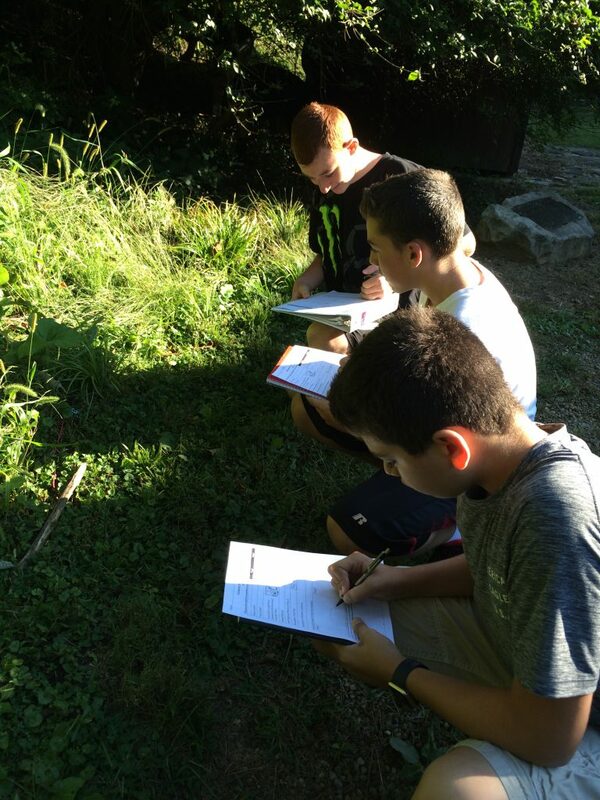 Using amphibians and their battle against the fungal disease chytridiomycosis as a model, students learn about the important role that temperature plays in the biology of ectothermic animals and the potential impacts of climate change for these and other species. 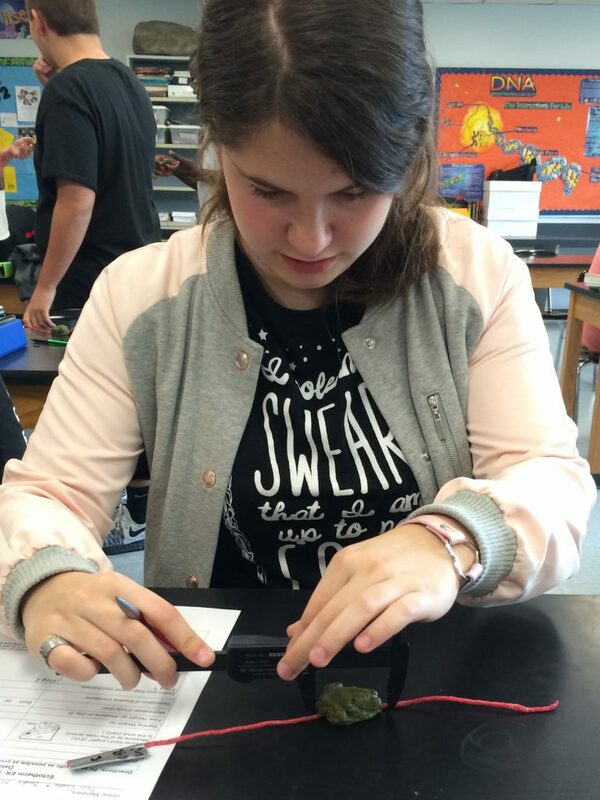 Students are engaged in experimental design and hypothesis testing as they make and deploy agar model frogs with embedded temperature sensors in different microhabitats near their schools. 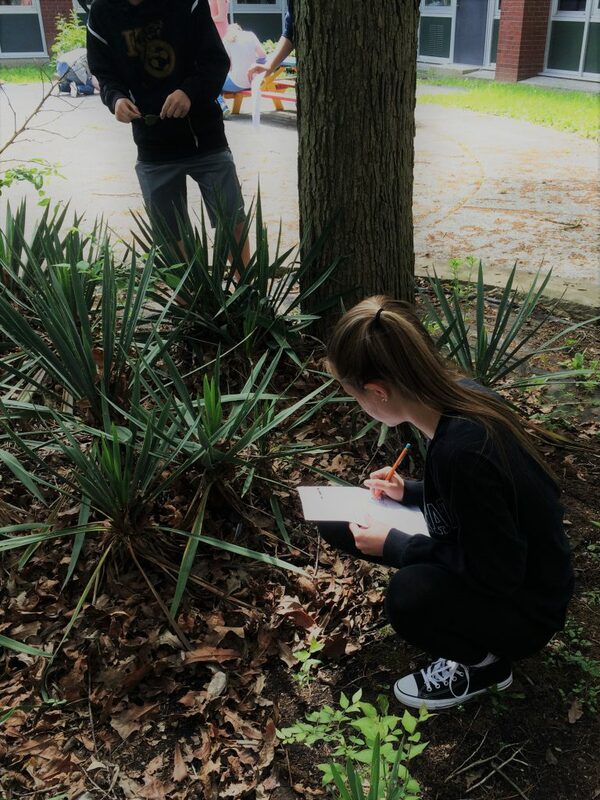 The students then collect the frogs, gather the temperature information from the sensors, and analyze those data to answer questions about the potential interactions between climate change and disease for frog populations. Ectotherm ER is now available as a Pitt Kit through Pitt Bio Outreach and is being used by Pittsburgh Public and other local school districts. Additionally, we aim to work with Pitt Bio Outreach to continue to offer teacher training workshops, and with teachers from a broader area to develop a strategy to expand the reach and usability of Ectotherm ER (i.e. our work with Saint Louis Priory School). Funding for the development of Ectotherm ER has been provided by the National Science Foundation’s CAREER program. This project has been highlighted in the Pittsburgh Post-Gazette and the Pittsburgh Trib. During the first half of 2018, our lab hosted Pittsburgh-based artist Ashley Cecil in a residency. 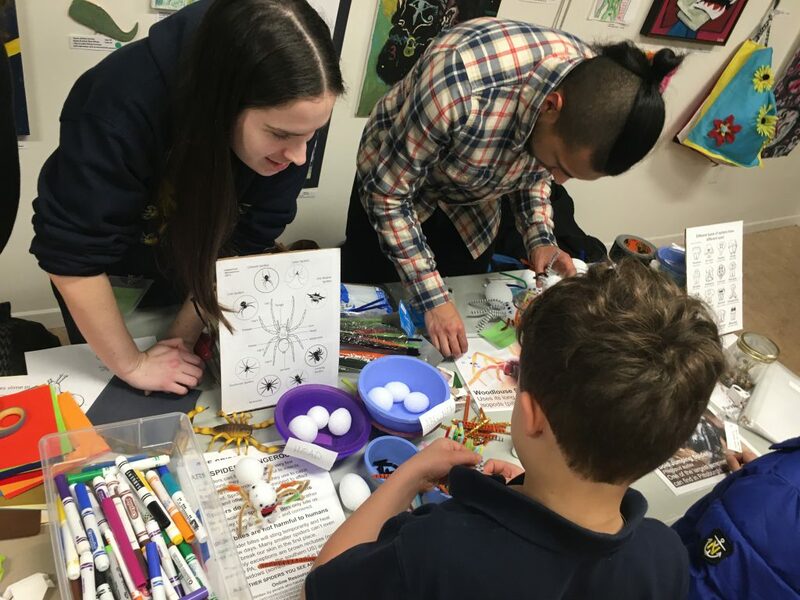 The exchange of creativity and information led to an art exhibition focused on threats to amphibian populations and new art-science outreach programming. Why are some animals slimy? 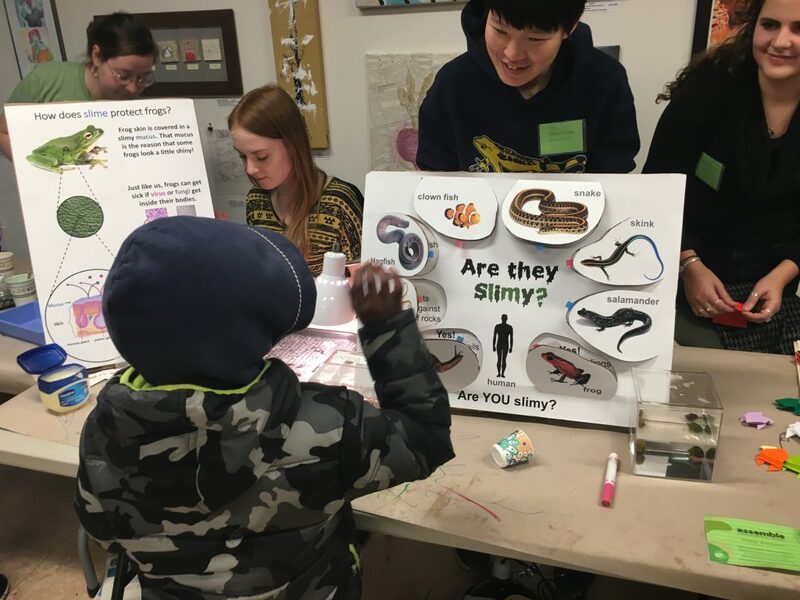 To share the amazing world of animal mucus, members of the RZ Lab developed hands-on learning activities and presented them at a public event for Assemble PGH. Students used to “slime” (Vaseline) and paper frogs to see how amphibians’ mucus coating protects them from disease, and from drying out. We also explored the diversity of mucus in the animal kingdom, and challenged students to figure out why some animals they might think are slimy (such as snakes) don’t actually have/need slime to stay healthy. We designed these activities to be low-cost and shareable; if you are interested in using any of them for your classroom, please get in touch and we’ll send along our lesson plan. Spiders are quite common, but many people are afraid of them, and unaware of what sets these arachnids apart from insects. Members of the RZ Lab developed a workshop where students learn about spiders by observing live animals, and then building their own! We specifically address common errors in representation of spiders, such as the number of body segments (2), where the legs are attached (to the head), and the number of eyes (usually 8, but sometimes 6 or 0). We designed these activities to be low-cost and shareable; if you are interested in using any of them for your classroom, please get in touch and we’ll send along our lesson plan.